The plan calls for banning cars from Cornell between 60th and 67th streets. Cornell is a mostly six-lane road that runs north-south through the park, only a few hundred feet east of Stony Island Avenue, another north-south arterial. Cornell was carved through Jackson Park in the 1960s, despite the efforts of local residents and parks advocates to keep the green space intact. Stony Island and Lake Shore Drive, located about a half mile east of Cornell, offer alternatives for car commuters. 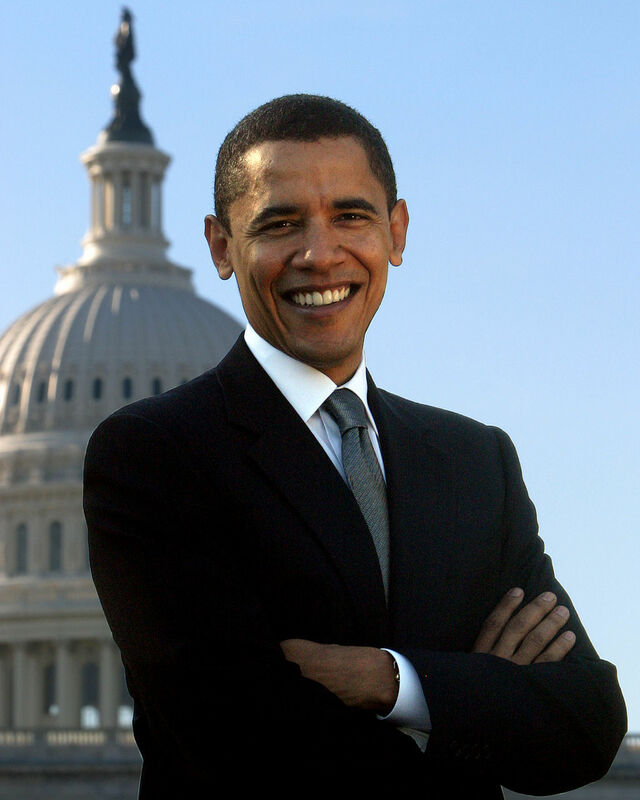 Obama noted that the Illinois and Chicago departments of transportation have begun doing traffic studies and have determined that, if steps are taken to compensate for the rerouting of traffic, pedestrianizing Cornell would only only add one to three minutes to motor vehicle trips. “We are confident that we will not be [significantly] adding to commute times,” he said. 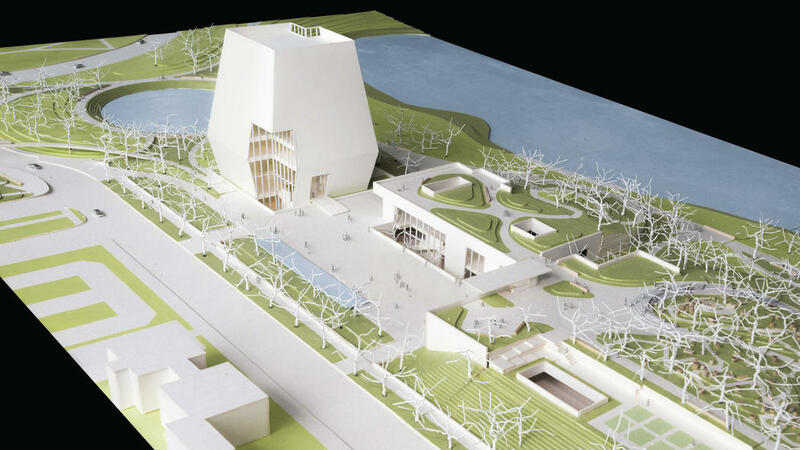 While asserting the need to make Jackson Park less car-centric, Obama acknowledged that the presidential center may create more demand for car parking. “When people come to visit, they’re going to be looking for a place to park,” he said, according to DNAinfo. One transportation topic that apparently didn’t get much play at yesterday’s event was transit access. The library site is already well served by public transportation: Just west are the Metra Electric District line’s 59th Street and 63rd Street stations, and four CTA bus lines run past the parcel on Stony Island, including the #2 Hyde Park Express, the #6 Jackson Park Express, the #15 Jeffery Local, and the #28 Stony Island. However, adding more frequent bus and train service would reduce the number of additional car trips to the neighborhood. Community leaders have been pushing for the creation of rapid transit-style service on the Metra Electric for years, so it would be great if the library was a catalyst for making this vision a realty. Amen, both to closing Cornell and to greatly expanded Metra service. With the presidential library, the possible golf course consolidation, and the new proposed project on the former US Steel site, it’s a great opportunity to improve transit on the south and southeast sides. Hairston sounded like she changed her mind on the closing of Cornell – she ‘liked what she saw’ in the presentation. Now she can get back to ruining the 71st Street commercial corridor with blatant misuse of zoning. I’d love to see Green Line extended to Stony if only to spite Brazier (who, this week, said ‘history proved my father right’ with his push to demolish the tracks). Don’t forget the #10 runs from the Loop to MSI–visitors can make the short walk from there if they like. I’d love the closing off of Cornell and returning it to parkland, even though that will make my journey to Jackson Park Highlands and the Skyway more difficult. I’m still not happy to have more buildings taking over parkland and I’m not happy that Hyde Park Academy loses their sports fields (that’s where the library’s going). But what’s done is done and let’s make lemonade. CTA could easily extend the #10 to the library as well. 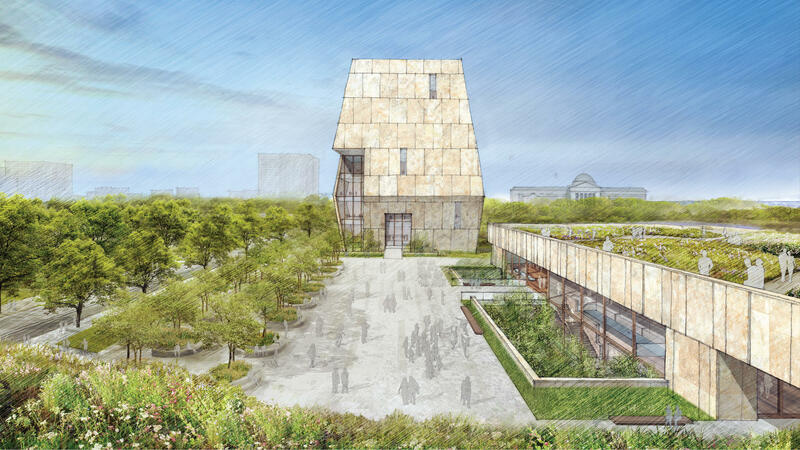 #10 MSI/Obama Library sounds just fine. The road doesn’t really go anywhere anyway. How about building a lid over Cornell Drive and using the top of the lid as a park to connect the Obama Library with the Jackson Park Lagoon? 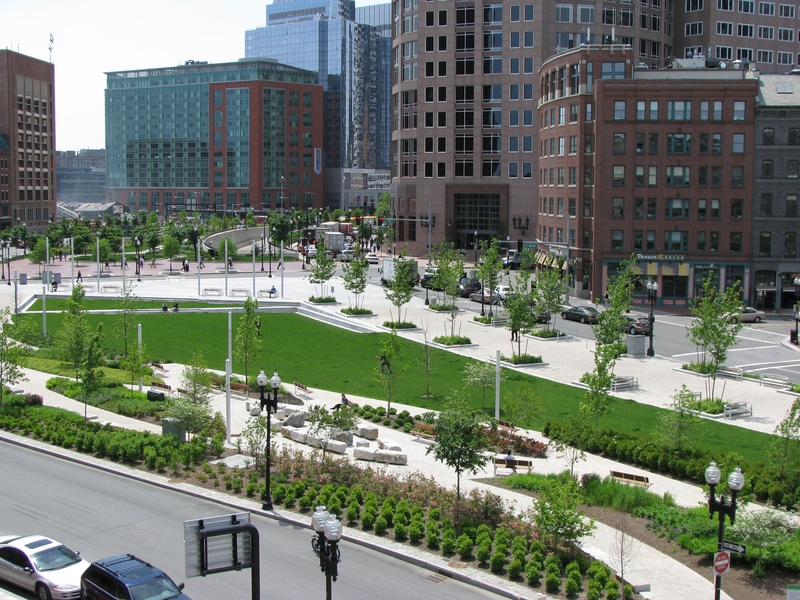 The way the Rose Kennedy park is built on a cover above Boston’s Big Dig project. That way Chicago can keep Cornell Drive and gain new park space. The 5th Ward’s Leslie Hairston: Chicago’s Most Auto-centric Alderman? It was no surprise that read that Hairston opposes pedestrianizing streets in Jackson Park. She’s shown time and time again that she prioritizes easy driving above all other transportation modes.